Little Outbursts of Creativity: New stamp set by WOW! New stamp set by WOW! 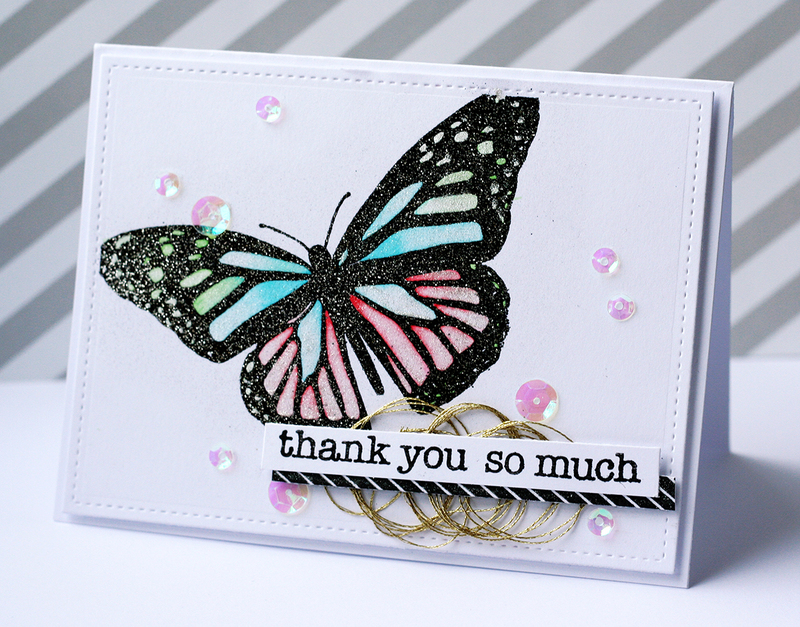 Today I'm up at the WOW blog with this card showing one of the stamps in the new set I designed for WOW. It's called Mariposa and it has this big butterfly and then some smaller and a flock of tiny ones. I googled it and a group of butterflies are apparently called a kaleidoscope which I think is a good name for it. Now I need to make a rainbow colored kaleidoscope of butterflies. 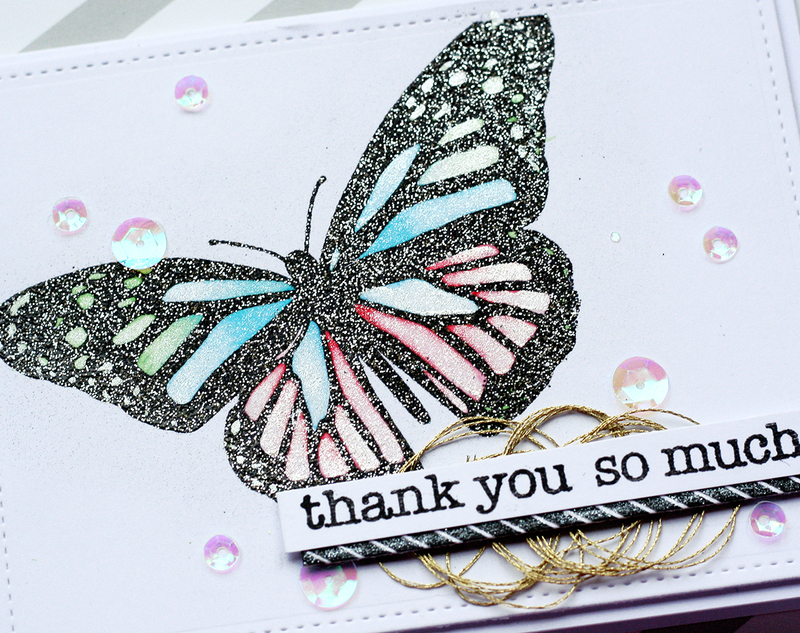 I used Pick n Mix, another of my stamp sets, for the sentiment and decorated with gold thread and some clear sequins.